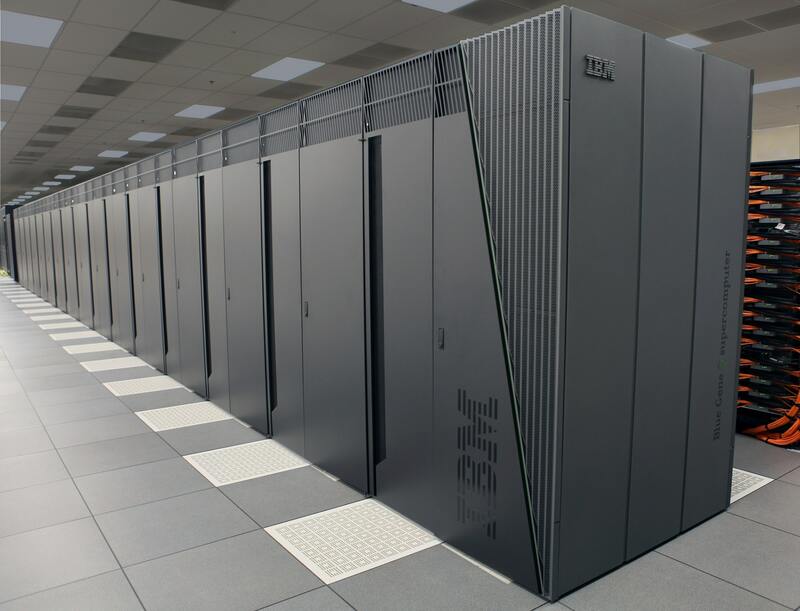 This is the twelfth in a series of units that will educate the reader on the part played by a battery in an uninterruptible power supply (UPS) system. An increase in temperature can cause an increase in resistance, which causes a further increase in current, which causes a further increase in temperature, until the battery or unit self-destructs. Thermal runaway occurs mostly – but not exclusively - in lead-acid cells or batteries. Within that family, thermal runaway occurs mostly in Valve-Regulated Lead-Acid (VRLA) cells. 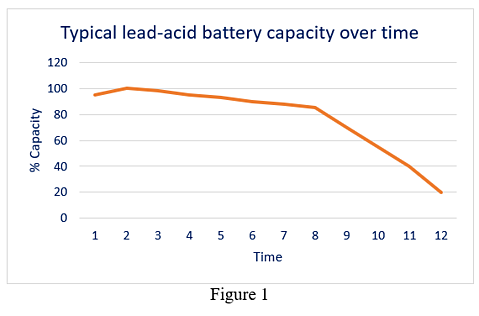 Vented Lead-Acid (VLA) cells are not immune to thermal runaway but, because of the large amount of liquid electrolyte they contain, and because water can be added to replace evaporated electrolyte, thermal runaway in VLA cells is rare. VRLA cells, on the other hand, have “starved electrolyte”, i.e., as little as 10% of the amount of liquid present in a VLA cell of comparable ampere-hours. VRLA electrolyte also has a higher specific gravity, making it more sensitive to heat. 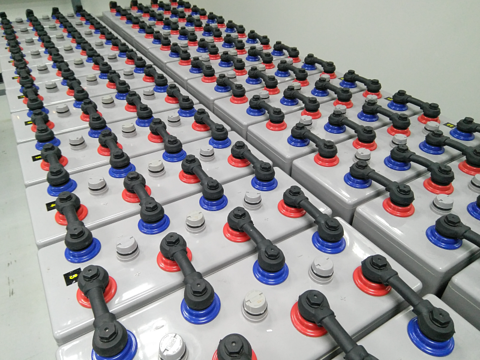 Plus, VRLA batteries have no mechanism for adding electrolyte to a dehydrating cell. Thermal runaway is the most catastrophic of all failure modes. If left unchecked, thermal runaway can lead to melting of the case, fire, or even (rarely) explosion. The heat generated by thermal runaway has been known to ignite combustible material in close proximity to the battery. Thermal walkaway is not formally defined. However, as the name implies, it occurs over a long period of time (usually as a consequence of aging) ranging from months to years, thereby allowing time for discovery and corrective action. Thermal walkaway usually takes the life out of the cells when cell dry out causes premature end-of-life without necessarily resulting in fire. Thermal walkaway is usually a precursor to thermal runaway. Thermal runaway can happen quickly. Unlike other failures associated with aging of the battery, which slowly degrade over a period of months, thermal runaway is usually the result of catastrophic failure in one or more cells. 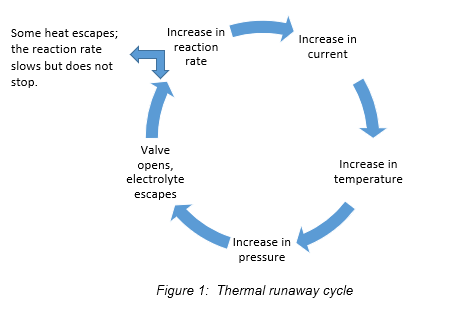 Figure 1 describes the cycle of overheating. An increase in current, voltage, or temperature can start the chain of events that culminate in the cell or battery getting hotter and hotter until damage is done. Environmental conditions can initiate the process but are the easiest to detect and/or correct. High room (ambient) temperature is the most obvious cause, but temperature gradients within the room can also contribute. 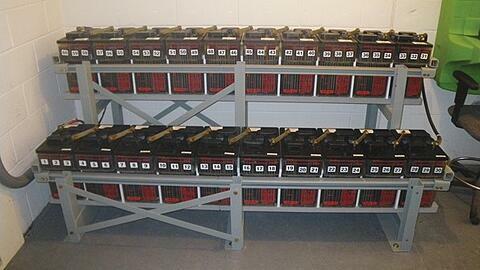 For example, cells in the middle of a row of batteries tend to be warmer than the cells at the end of a row. Likewise, when cells are stacked on tiers or shelves (as in a battery cabinet), because heat rises, the cells at the top tend to be warmer than the cells at the bottom. Cells close to an outside wall that experiences solar heating (or to any other heat source such as electrical equipment) can be warmer than cells deeper inside a room. Studies have shown that a temperature gradient of only 2 °C to 3 °C of temperature difference can cause problems. Colder cells can be damaged by undercharge and warmer cells can be damaged by overcharge, even though all are series connected within a single string. Pressure build-up within a cell, along with excess heat, can result in deformation of the cell container, usually described as “bulging”. It can also cause seals to crack or break, possibly resulting in electrolyte leaks. An electrolyte leak can create a conductive path that could create a short circuit and result in fire. If cells (or multi-cell units) are packed so tightly together that air cannot flow between the units, cells can expand to the point that, like bricks in a wall, they cannot be removed. 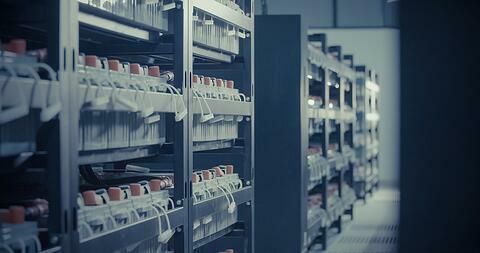 Such conditions are most likely to be encountered in battery cabinets. As a battery ages, positive plate growth can be expected as it is one of the primary causes of cell failure. The aging process can be accelerated by heat. Positive plate growth can be visually observed in VLA cells, but cannot be seen in VRLA cells. Plate growth can -- and probably will -- result in cell bulging. The conditions just described can be detected by regular visual inspection. Realistically, quarterly or semi-annual inspection is a common practice, although more frequent inspection is strongly recommended. 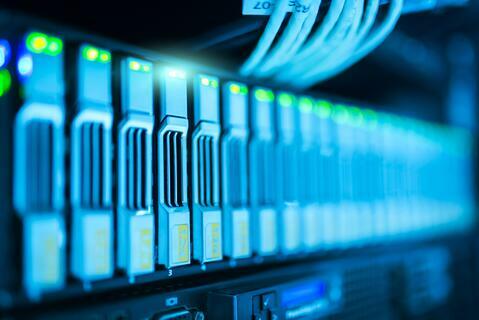 By the time these conditions are visible, the damage has already been done and cells or complete battery strings may need to be replaced sooner than planned. Because temperature building-up inside a cell cannot be visually observed, visual inspection alone is not sufficient. A common practice has been to measure the temperature of so-called “pilot cells” placed at one or more points within a string. Such practice can give a false sense of security. Temperature sensors on every block connected to a battery monitoring system allows for early detection of thermal walkaway and thermal runaway. If a permanently-installed monitor takes daily temperature differential readings and/or float current readings, the battery can never go from thermal walkaway to thermal runaway without the monitor first detecting and alarming the condition. Once a battery has gone into thermal runaway, whether it is VLA or VRLA, it will gas rapidly, releasing a potentially explosive mixture of hydrogen and oxygen. Such a mixture becomes flammable at around 4% of air volume. At around 7% it becomes explosive. For this reason, IEEE recommends a safety margin of 50% for ventilation systems (i.e., air exchanges to prevent accumulation greater than 2% of air volume in a space). Some building codes are even more stringent, limiting hydrogen gas build-up to no more than 1% of room volume. Hydrogen detectors may be an option to supplement – but not replace – dilution ventilation. If hydrogen detectors are to be considered, the user is advised to consult with experts for selection, placement, maintenance and calibration, because every installation is unique. The reader is advised that thermal runaway is actually rare, but diligence is recommended. Thermal runaway is preventable with proper installation, maintenance, and monitoring.